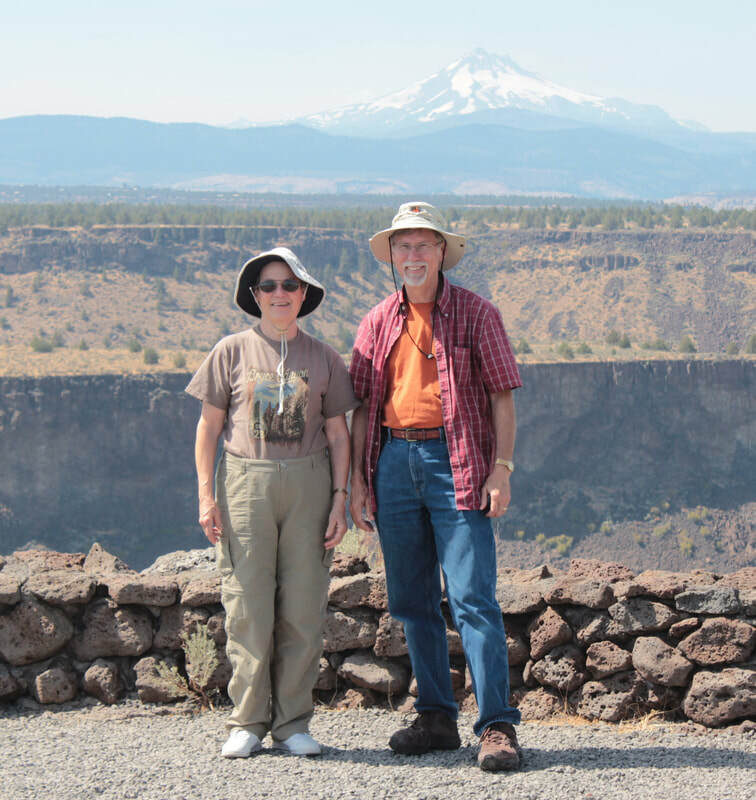 We decided to go to Oregon to see the total solar eclipse on August 21, 2017. We made state park campground reservations 9 months before the day. The sites went on sale at 12:01 am and by 1 am, all sites were booked. 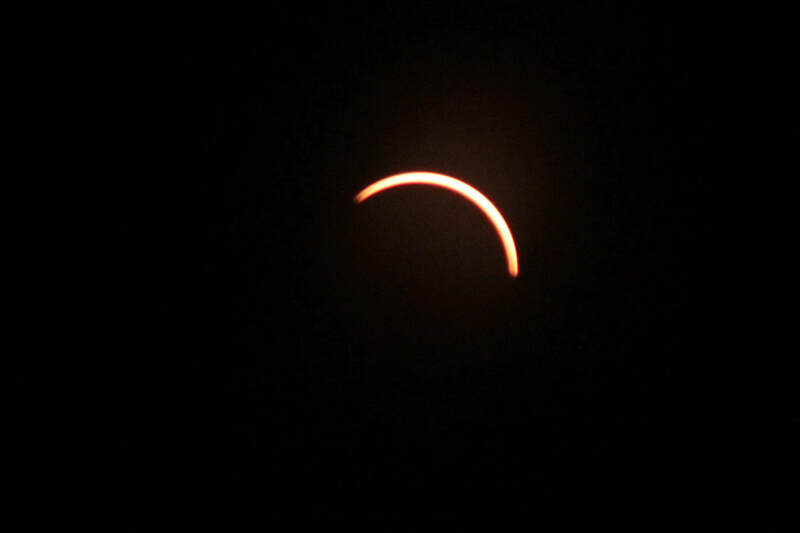 We got ours at about 12:20 am at The Cove Palisades state park which we picked because it was near Madras and therefore in the path of the total eclipse, and on the eastern side of the Cascades where we expected clearer weather. 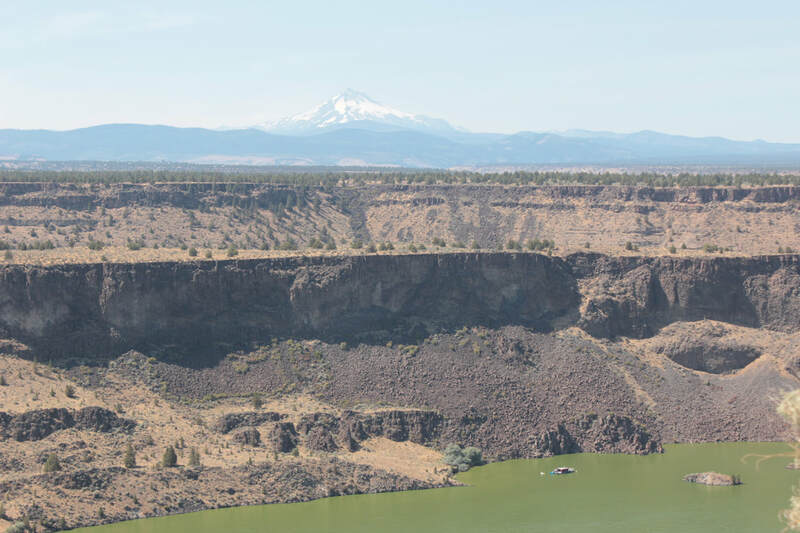 The Cove Palisades state park is around much of Lake Billy Chinook, formed when the Round Butte Dam was built. 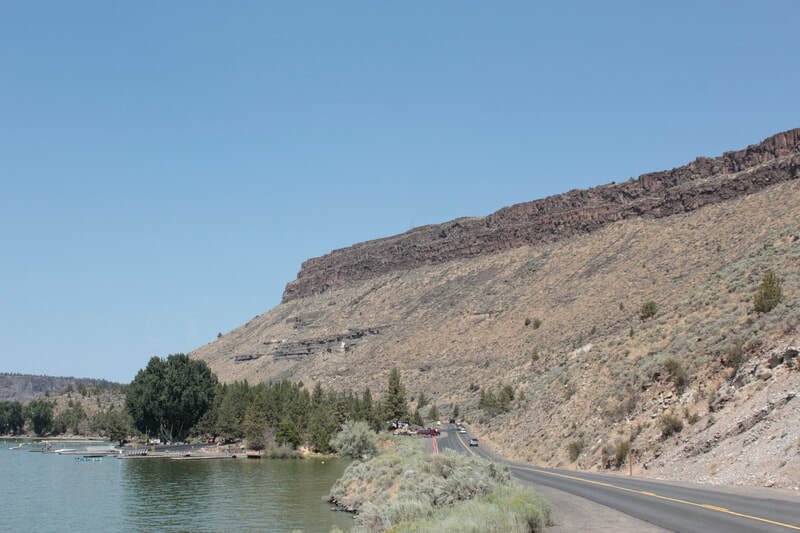 The lake is about 400 feet below the rim of the canyon where the Deschutes, Crooked, and Metolius rivers flow. They cut quite a canyon. 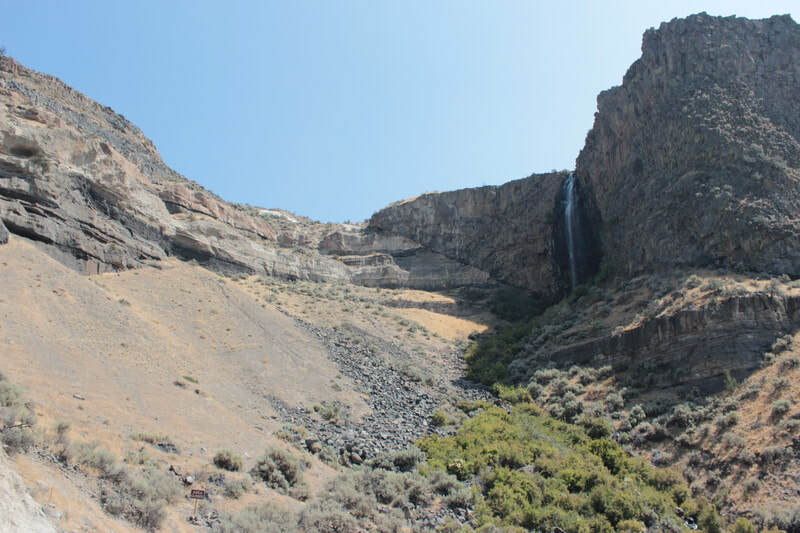 The lake is about 200 feet deep so the canyon was something before the dam was built. The Cove was the name of a favorite swimming hole on the Deschites river which is now underwater. 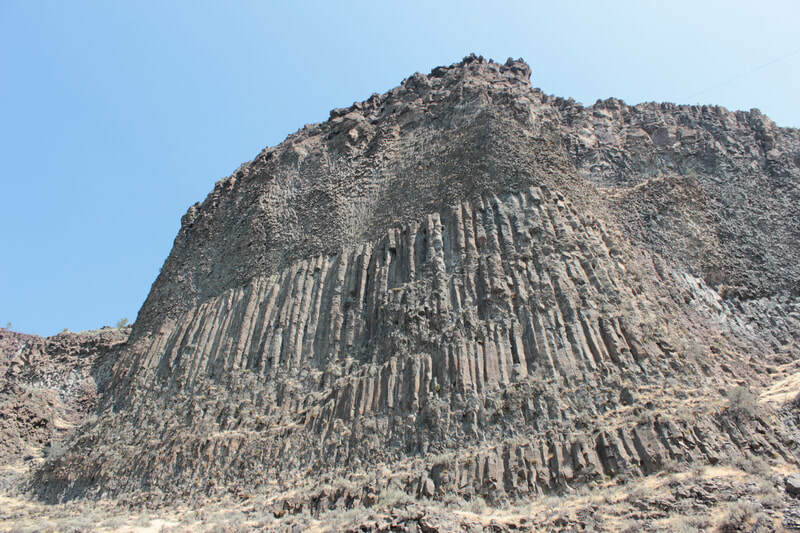 The Palisades is named for the rock formations that are exposed in the canyon and which are quite remarkable. The park is really aimed at water sports but the scenery was great for those of us who stayed on land. We drove north on US 97 to Culver, OR, then went west until we reached the park. 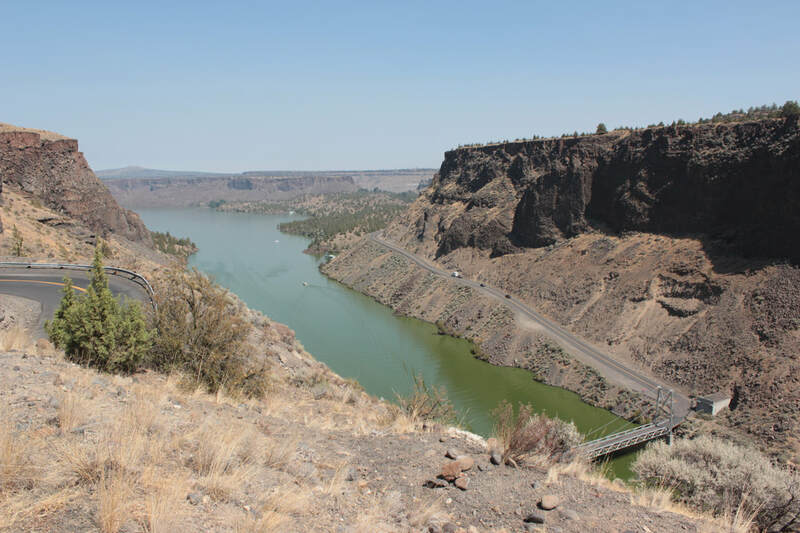 Then we had a six mile drive to the campground down one side of the canyon then up the canyon bottom, across a suspension bridge, and back along the canyon to where the Deschutes campground was. 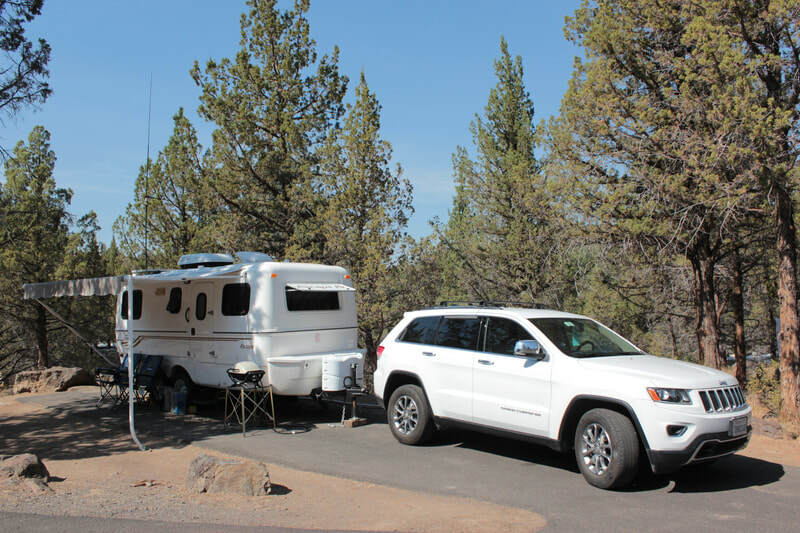 As is typical of Oregon state park campgrounds, we had full hookups for the trailer and free hot showers. The marina was prepared for a large onslaught of visitors for the eclipse with two refrigerated trailers parked just outside the marina and, we presume, stuffed with hamburgers and hot dogs for the expected visitors. 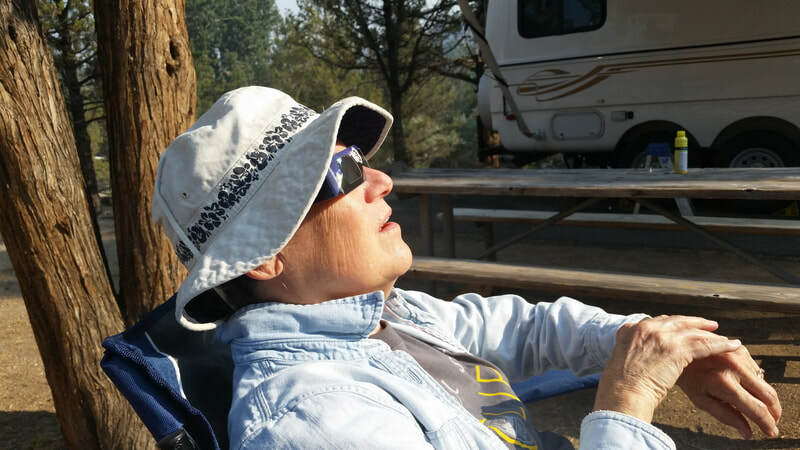 We arrived at the park on Thursday, so we had time to "kill" until the eclipse Monday morning. We took a trip to Madras to get a few items we discovered we needed at Safeway. 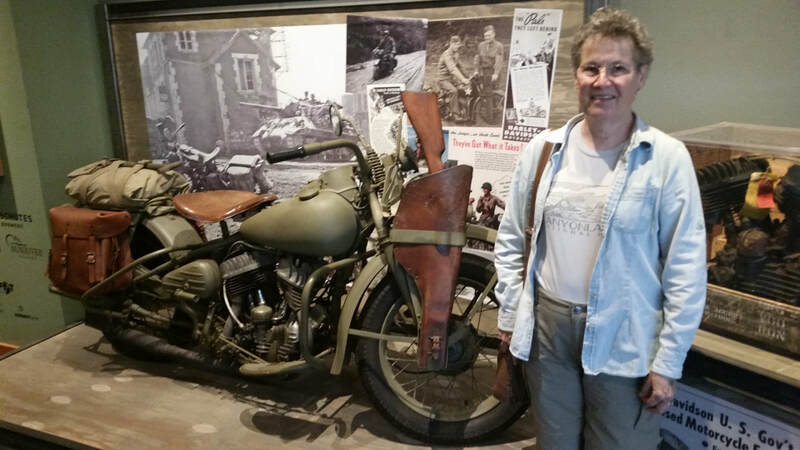 While we were there, we decided to fill the tank as we were told to expect a large demand for food and fuel. At the Safeway gas station, one tanker was filling the gas tanks while another waited to also fill them. They had run out of fuel the day before. We were anxious but never in danger of running out of gas. The days before the eclipse gave us time to relax and do a little touring. Our usual trip lately has been one adventure after another so this was a nice change of pace, and something we will plan to do more on future trips. 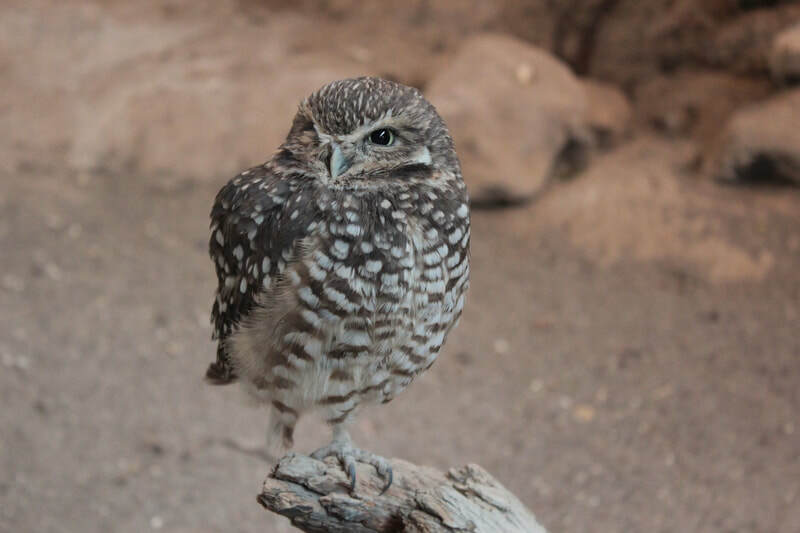 On Friday, we went to Bend, OR, to the High Desert Museum. 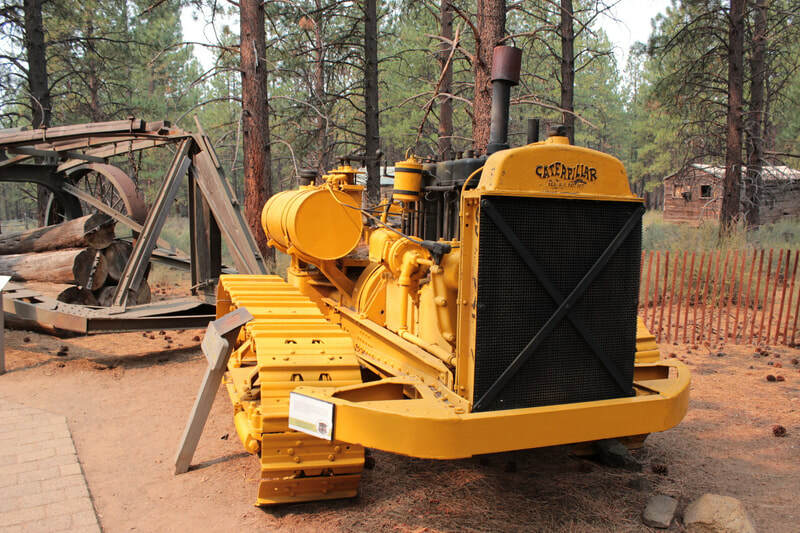 It has displays of local flora and fauna, and some historical sites for lumber and farming. Highly recommended. 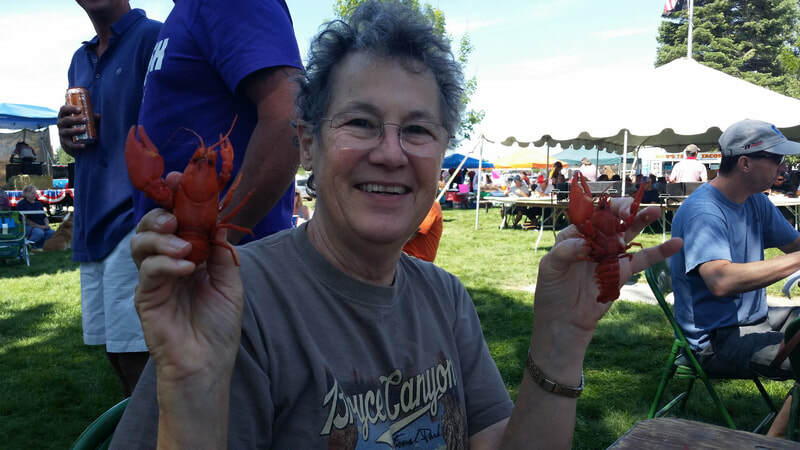 On Saturday, we learned that Culver, just 10 miles from our camp site, had their annual Crawdad Festival. We never pass up cajun seafood, so we went and had our fill of the little parts of the crawdads that are edible. We also visited the dam site and learned about the series of 3 dams built. Two are for power generation, and the third was built to smooth out the water flow to the rest of the river as power demands result in higher water releases during the heat of the day, and less at night. 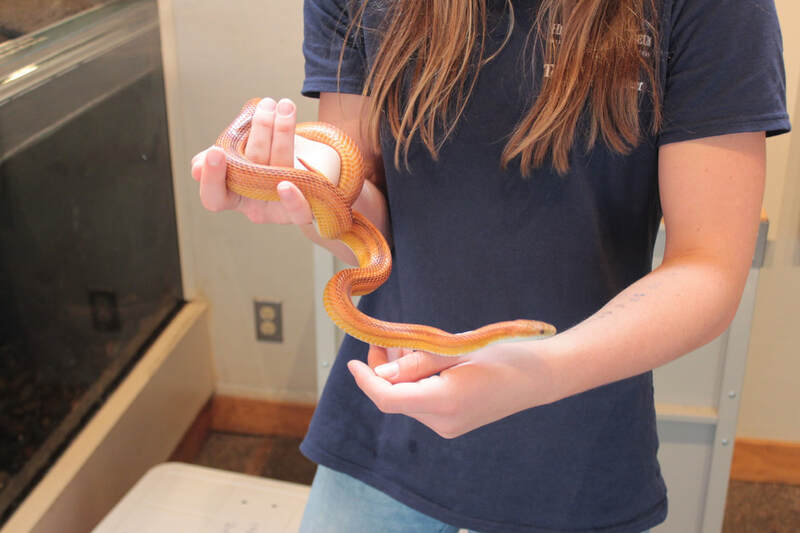 They were thinking about the fish, and ended up building a very pricey fish "elevator" to get the water temperature right and to give the fish a ride around the upper dam as they couldn't build a fish ladder there. 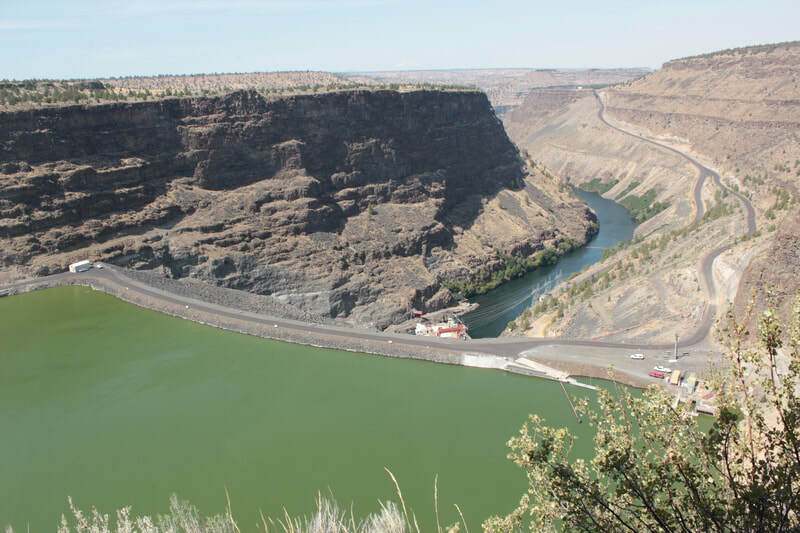 The dam is a joint project of Portland General Electric and the Warm Springs Indians, and we were impressed with their care for the environment. The big event was Monday morning, and we had a great view of the sky from our campsite. We had heard all about what to expect from a solar scientist at the evening program at the campground, but the total solar eclipse WAY exceeded our expectations. It is a sight to behold and is AMAZING. I could describe it to you, as it was described to us, but you would find that the event exceeded what you expected as it did for us. 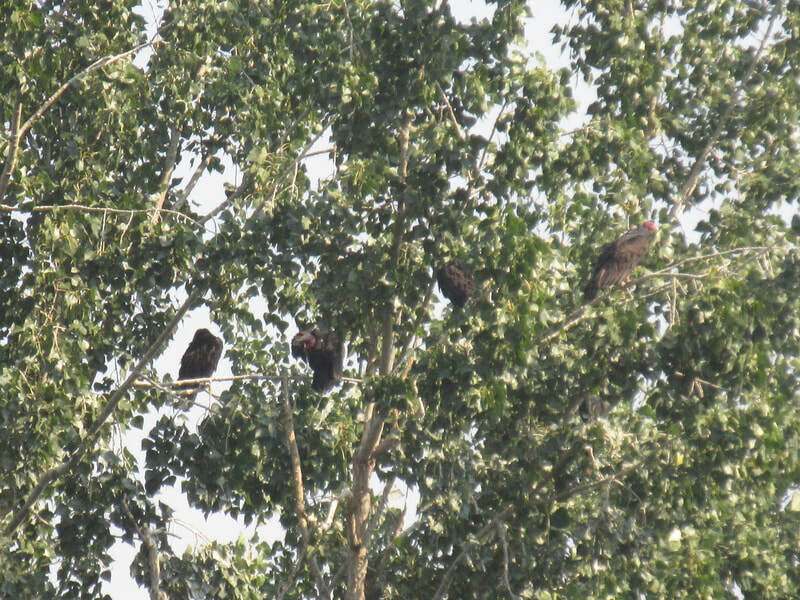 The sky got progressively darker, and we could see less of the sun through our eclipse glasses, and it got noticeably cooler, and we noticed the turkey vultures and other birds returning to their nests. 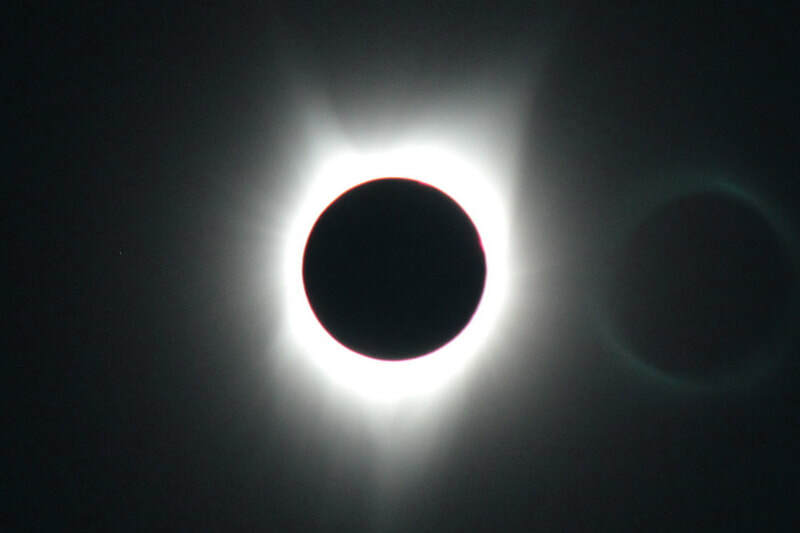 Then suddenly, it was much darker and you had to take off your eclipse glasses to see anything, as the corona does not compare to the brightness of the sun. You could tell from the shouts and noise in the campground that others were equally amazed and impressed. The corona is much larger than I expected, as you normally can't see it. 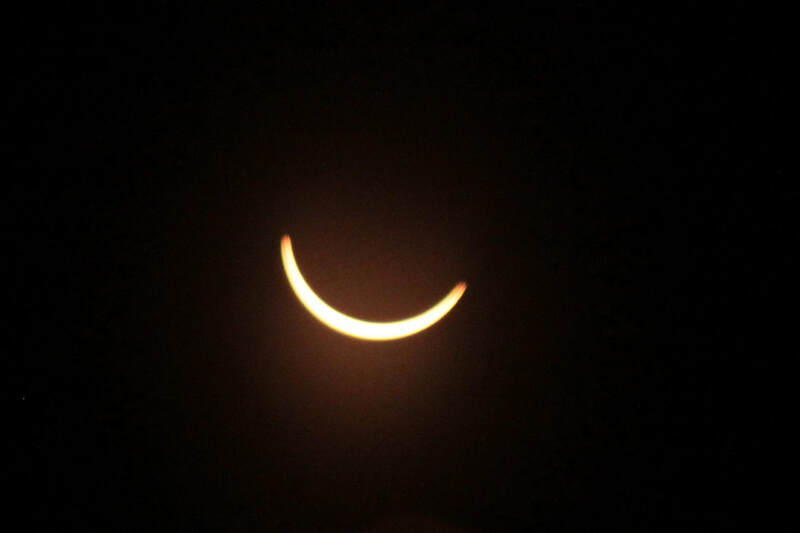 Then, after a very short two minutes, the sun started to emerge from the shadow of the moon, and you needed your eclipse glasses again as the sun is so bright, even a narrow sliver of it. On Tuesday, we headed home back down US 97 to California. We stopped at Newberry National Volcanic Monument to see the Lava River Cave, and we planned to see more but the traffic suddenly became so bad that we abandoned any further sightseeing. And it was a good thing, as it took 5 hours to go 50 miles. We went through the small town of Chemult, which is the last town for many miles going south, and traffic resumed regular speed. Very strange!! We had planned to stop at Weed, CA for the night and that was a good thing as we didn't arrive until about 8:30 pm after many hours in the Jeep. It was a great trip and we hope to see the next eclipse in 2024.